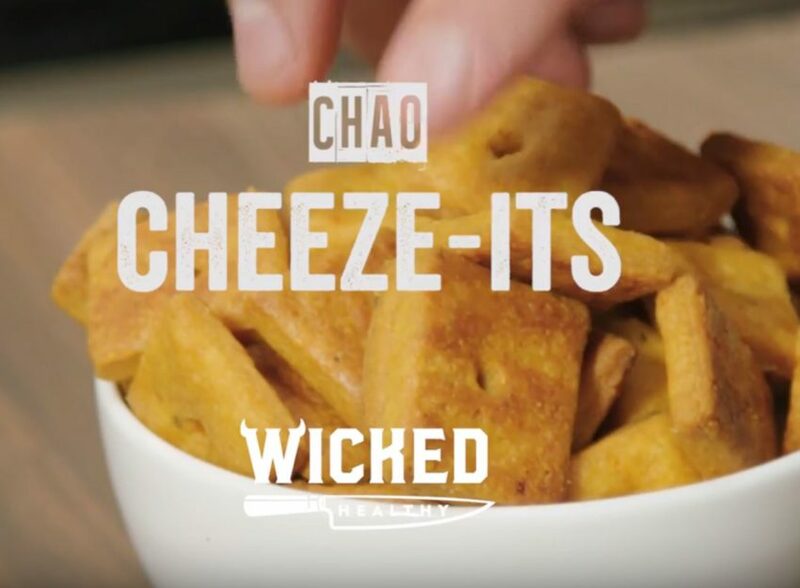 The cheeziest crackers made with Field Roast’s Tomato Cayenne Chao Slices. Skip the box and make your own from scratch. Wicked easy … take a look! Using a grater, finely grate the block of Field Roast Tomato Cayenne Chao Slices. In a food processor add the grated cheese, plant-based butter, nutritional yeast and flour. Pulse until the mixture is well combined, a fine meal. Add a few teaspoons of water and pulse again until the mixture jst starts to come together to form a dough. Stop mixing at this point. Using a sharp knife, cut the dough vertically 1 inch apart. Keeping intact, turn the parchment paper and cut the dough horizontally to create 1X1-inch squares. 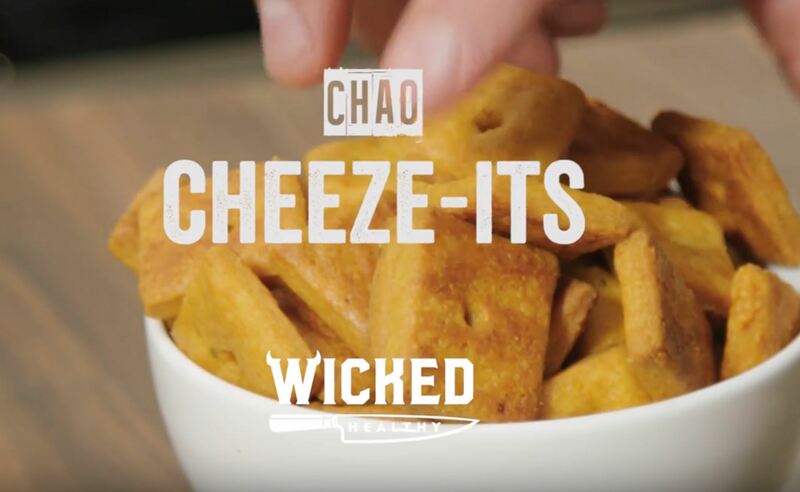 Using a toothpick, press a hole into the center of each square to give that Cheeze-it look. . Transfer to a parchment-lined baking sheet and bake for12-15 minutes. Half way through the baking process rotate the pan, to ensure even coloring on all sides. Removr from oven with the crackers are slightly darkened around the edges and crisp. Remove from oven and allow to cool. Store in sealed glass jar for optimum freshness.